Amazingly, despite the feeling we all have that the world is getting more standardised, there are no global sizing standards for pallets. Yet getting the size of the pallet right is a key component in running an effective logistics operation and in using every centimetre of warehouse space. The right size of pallet can also help reduce transport costs and make goods safer during transportation. Even though pallets are used to move goods all around the world, we only have partial global standards. And to add to this complication, some industries have developed their own standards for moving pallets from manufacturing plant to distribution centre and to local warehouse because it makes the whole supply and logistics operation so much more efficient. The UK has its own set of standards. The sizes vary according to the height, width and length but also according to how much the pallet itself weighs and how much can be loaded on it. Some, but not all, of these pallet sizes will be acceptable in a number of European countries. The standard UK pallet is generally accepted as being 1000mm x 1200mm. A pallet weighing 14kg would be able to take approximately 500kg of load, depending on what it is made of. 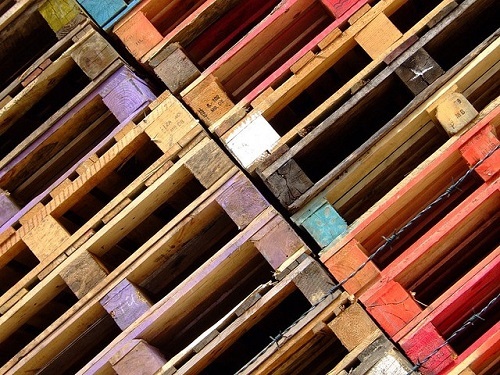 However, across Europe, including the UK, the most widely used pallets are Euro pallets. Euro pallet size is commonly 1200mm x 800mm with a height of 150mm, although other sizes are available. The problem for UK businesses is obvious – it is possible to end up with a mix of pallet sizes in the warehouse, and the UK size is larger than the Euro pallet size. This can prove a headache and lead to wasted space when storing and loading goods. Euro pallet production is very closely regulated by the European Pallet Association (EPAL), so the pallets are also produced to standard specifications for different applications and industries. This, and the fact that they can be used across most of Europe, has led a number of UK businesses to adopt Euro pallets as their standard. The International Standards Organisation has tried to rationalise the system by bringing in its own set of standards. The result has been that these standards sit alongside the Euro pallet dimensions and other sizing standards, so a common global approach hasn’t been achieved. However, ISO has defined six pallet measurements for sending goods between continents. These are: 800 × 1200 mm for use in Europe;1000 × 1200 mm for use in Europe, Asia;1067 × 1067 mm for use in North America, Europe, Asia; 1100 × 1100 mm for use in Asia; 1165 × 1165 mm for use in Australia; 1219 × 1016 mm for use in North America. Which size you should use means considering what you want to transport and where it’s going. You also need to consider the type and size of forklift that your customer or warehouse may be using. Some industries need special types and sizes of pallet too. However, you can cut through this complexity by talking to a knowledgeable pallet supplier, who will advise you on the type of pallet you need for your specific application.